For "snowboarding" on Snow, Grass, or even Sand dunes! Assorted Colours with LED lights! 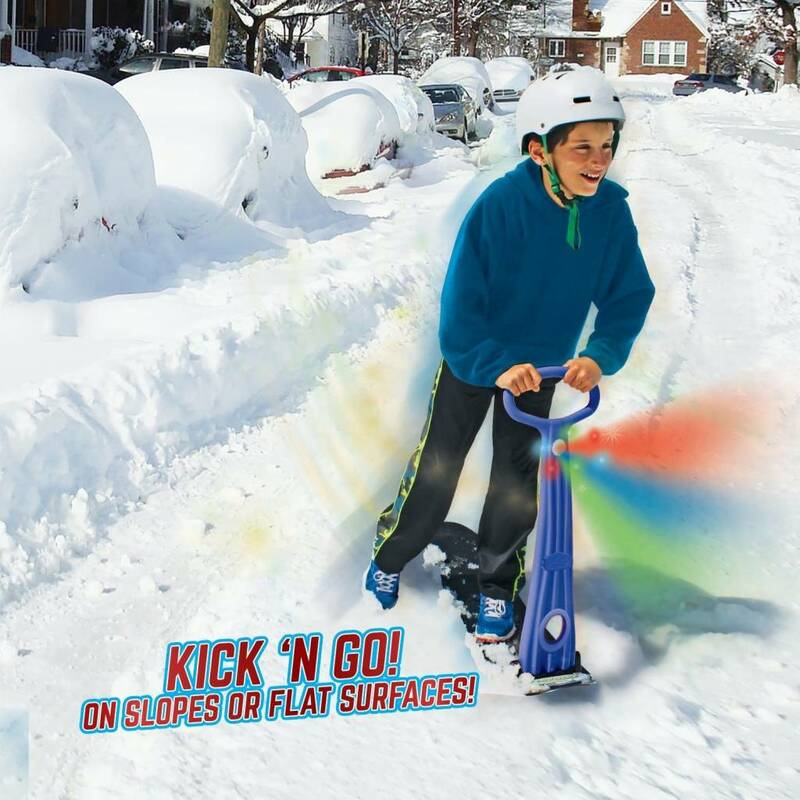 For "snowboarding" on Snow, Grass, or even Sand dunes! Kids love riding scooters and skateboards, but usually only do it in dry weather, and only on concrete or asphalt. 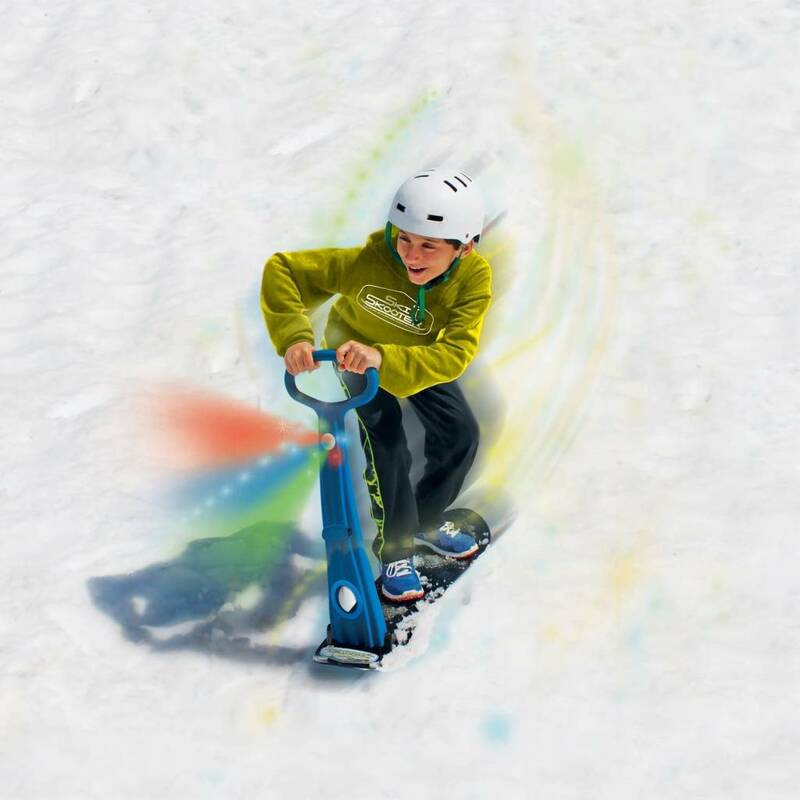 The amazing SKI SKOOTER from Geospace opens up new worlds of exploration for young riders -- snow for one, but also grassy hills and even sand dunes! 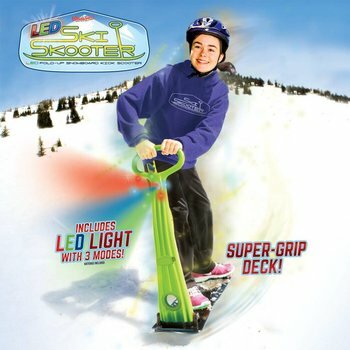 The Skooter works on flat terrain as well as hills...just leave one foot on the board and push with the other, using the handle for balance and directional control. In dry, deep snow, Ski Skooter acts like a snowshoe, allowing riders to float on the surface. 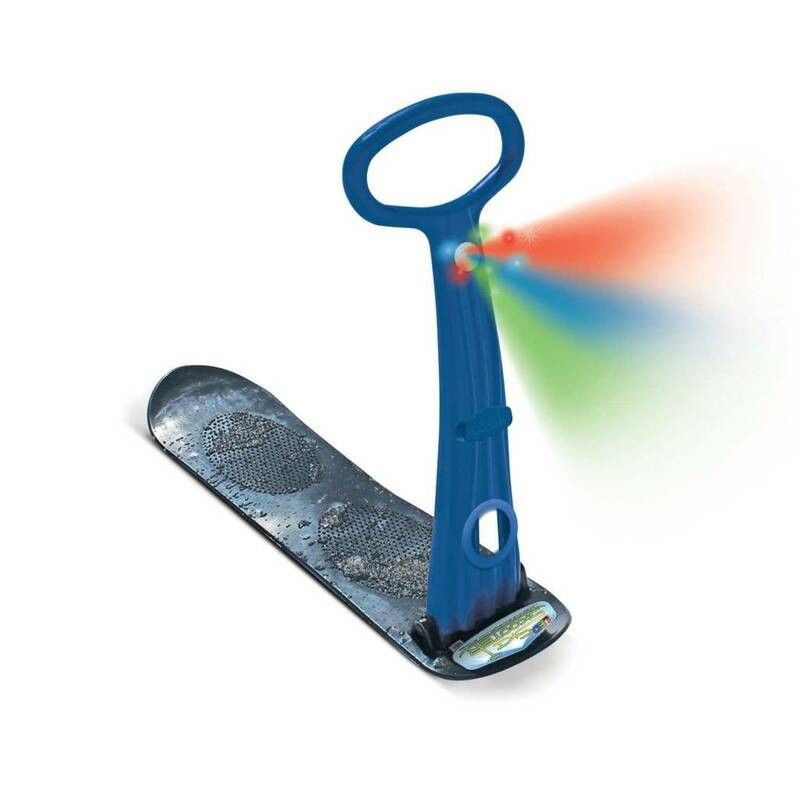 Kids stay glued to the Ski Skooter thanks to its sturdy folding handle and non-skid surface. 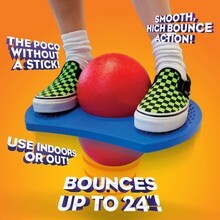 Made of monster-tough polyurethane. 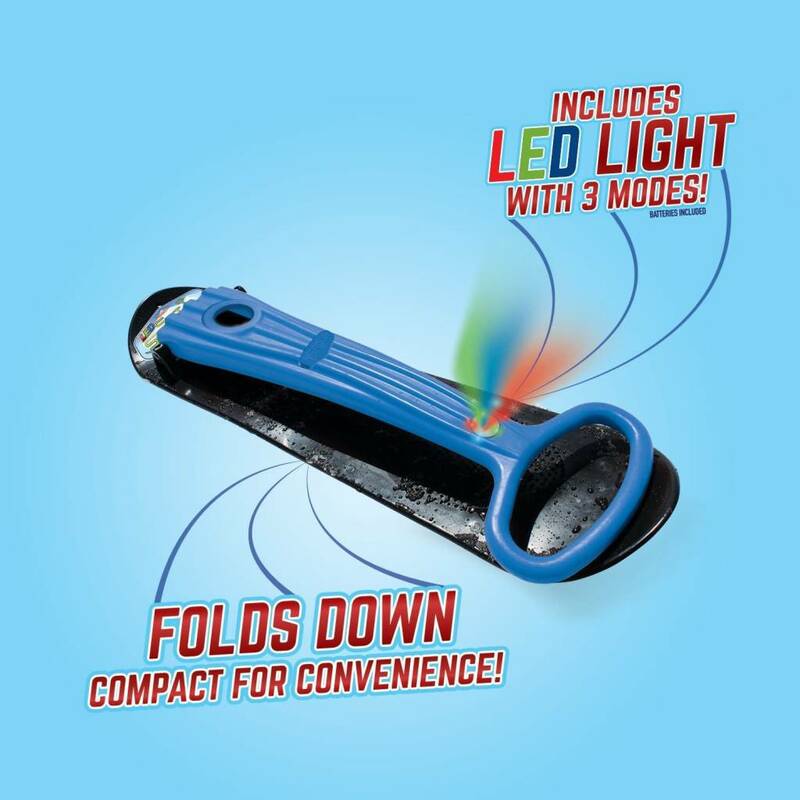 Traveling with the Ski Skooter is easy...simply fold down the handle and carry it by hand or strap it onto a pack. Available in Green, Blue or Red.